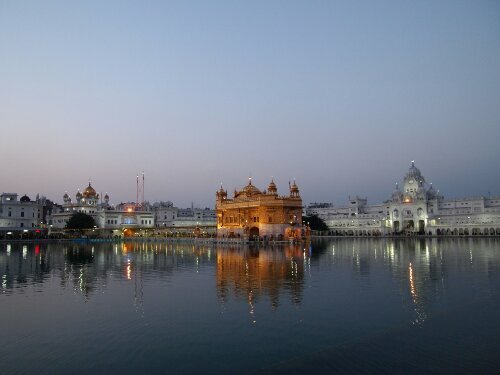 I had decided to spend a rest day in Amritsar so I could see the Golden Temple properly and at different times of the day. Which was well worth it as it was especially beautiful at twilight. 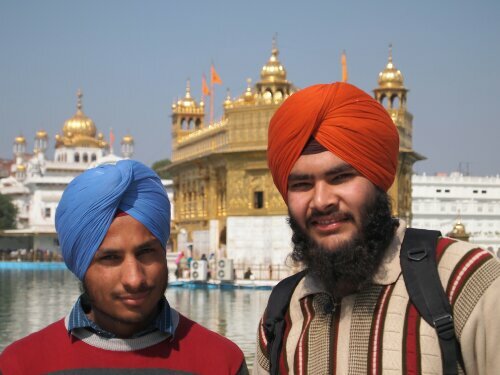 Earlier in the day I also got to have a nice chat with some locals who were interested in practising their English and were very curious what I thought about Sikhism and India in general. 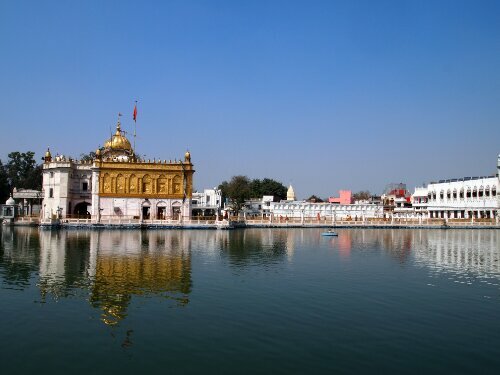 I also went and visited the Sri Durgiana temple which is basically a less amazing, more rundown Hindu version of the Golden Temple – apparently they call it the silver temple. Personally I’d suggest calling it the lead temple after seeing the Golden one. 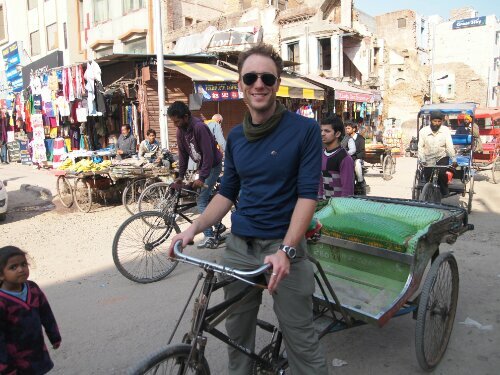 While in Amritsar I also found time to drive cycle rickshaws a few times. The first driver who let me do so seemed to get a little nervous after about fifty metres and made me stop. 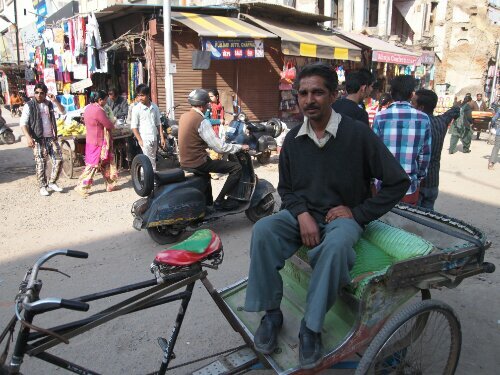 This may be because his rickshaw pulled very very heavily to the right and I kept veering. 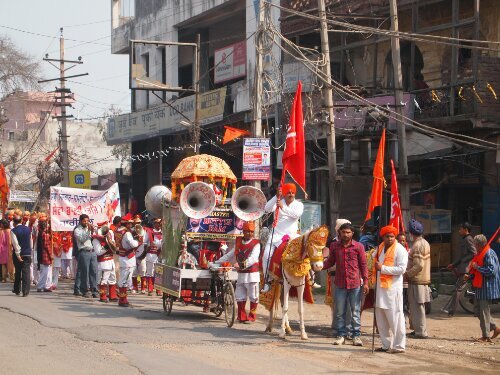 The second guy who I asked had spherical attachments of steel and lasted the whole 4km ride from the Mata temple back to where I was staying. Admittedly his cycle rickshaw was definitely better tuned. 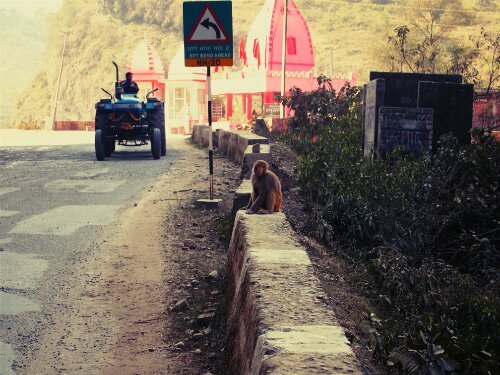 People were certainly surprised to see a tourist driving a rickshaw and a lot of locals pulled alongside to take photos and there was more whooping than normal. I discovered the best riding technique was to pretty much ignore the other traffic and let them avoid you. 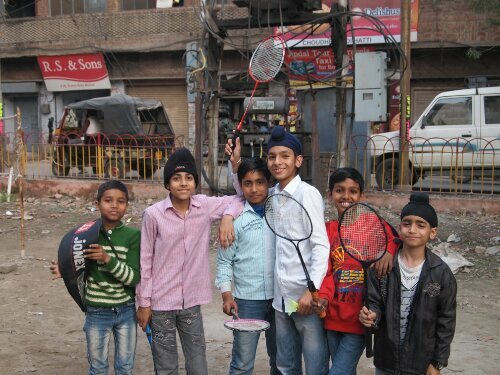 I also found some kids playing street badminton and they were kind enough to let me join in for a bit. 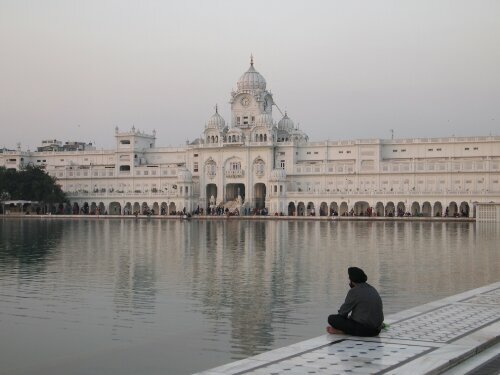 After an enjoyable time in Amritsar, it was time to leave the next day and start off on the next leg of my trip. 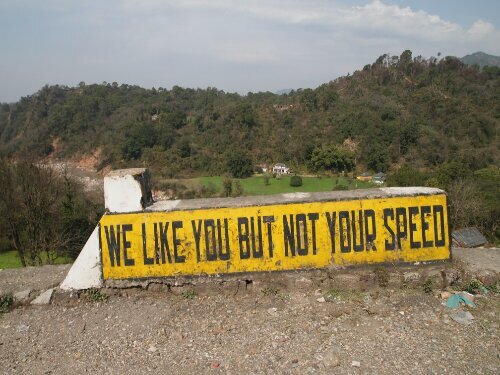 This would be a short one: 200km to Dharamsala in Himachal Pradesh. The first days riding was pretty uneventful and involved mainly riding across the Indian plains again. I did ride past a festival as it was taking place. 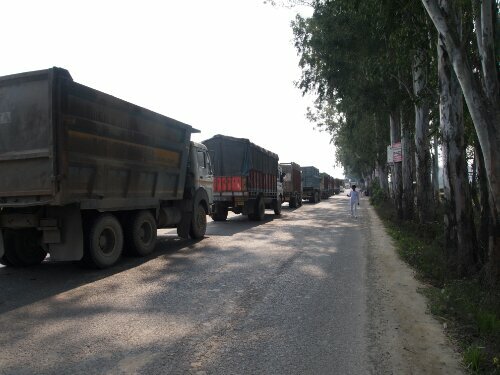 And there was also an incredibly snarled up traffic jam where a truck had broken down not far from a narrow bridge. This had created utter chaos. I really struggled even to get my bicycle through and no cars at all were getting through as I went past. Basically cars going north had spilled into both lanes on one side of the bridge and cars going the other way had spilled into both lanes on the other side causing an immovable gridlock. I don’t know how the police were planning on freeing it up! That photo is the end of the queue before it started turning into a total mess. One plus for me was that I had the whole side of the road to myself as no traffic was passing. 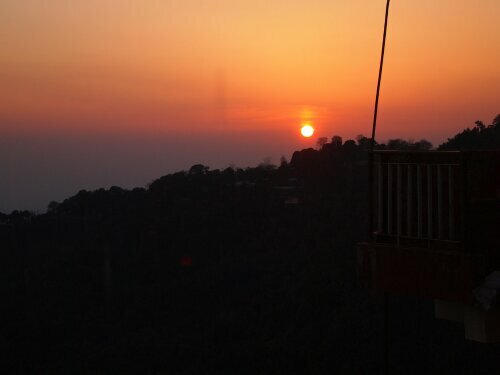 That night I would stay in Pathankot, a heavily militarised area being so close to the Pakistan border and the disputed regions of Jammu and Kashmir. I rode past regimental barracks after regimental barracks as I passed into town. 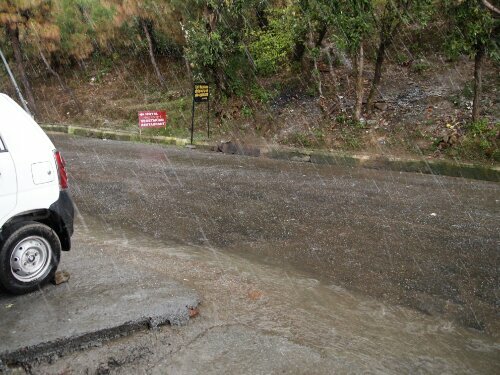 The next day I headed off to finish the ride to Dharamsala. I knew the day was going to be a lot tougher as the place I was heading to was over 1700m up a mountain and was up and away from the flat lands I had been riding on thus far. 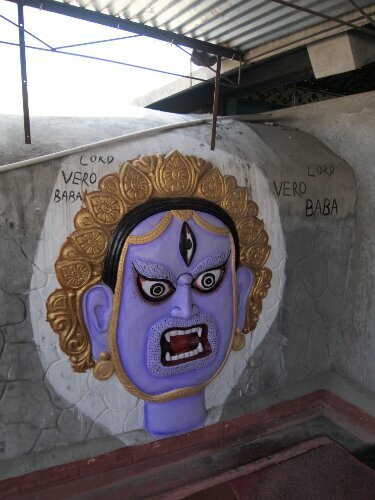 Dharamasala was also in another state of India, which I passed into fairly early in the first day. 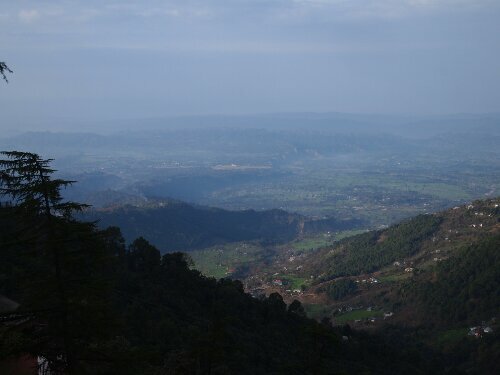 Himachal Pradesh as it is called clearly has its own priorities and the environment is one. Here plastic bags are illegal, which makes me slightly nervous as I now have a bunch of contraband bags packaging nuts and chocolate bars in my panniers…I just had to hope they didn’t carry out random checks or have sniffer dogs. The landscape now was a lot more interesting as it gave way to rolling hills and eventually mountains. Below a picture of an Indian soldier carrying what was surely more than the regulation number of weapons. Having to ride up a proper mountain on my bike after a few months was quite a strain and I had forgotten how much energy it burns so I had to pull over when I started to feel my stomach was totally empty as I had not eaten enough breakfast or a proper lunch. I think I surprised the guy at the cafe when I kept making him bring me more rotis to eat and they had to bake more for me. With a full stomach I was able to power on up. And to begin with the only thing I was fighting against was myself – then the heavens opened and to start with I got caught in a hailstorm with some quite sizeable pellets flying down. This then turned to torrential rain so I pulled over for a bit to let it slacken and to put on all my waterproof kit. Thankfully it eased off after a while and I was able to continue on. On this stretch I saw the only other westerner I’ve seen while in the actual process of travelling on my bike. He pulled up on a motorcycle, slowed, took a long look at me then pulled away up the mountain laughing hard to himself….cheers! As I got higher there was still a bit of snow on the ground, but now it was mostly slush. 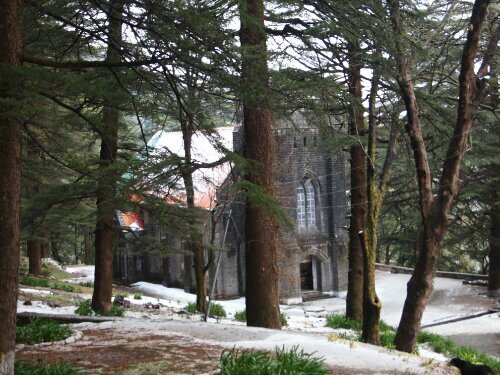 Later than expected but still on the same day I had planned I arrived in Upper Dharamsala, more commonly called Macleodganj named after a British Lieutenant Governor of the Punjab and found somewhere to stay. 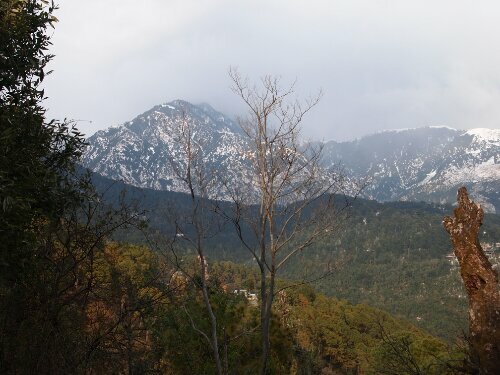 Dharamsala is famous as the residence of the Dalai Lama and is where he claimed asylum when he fled China. 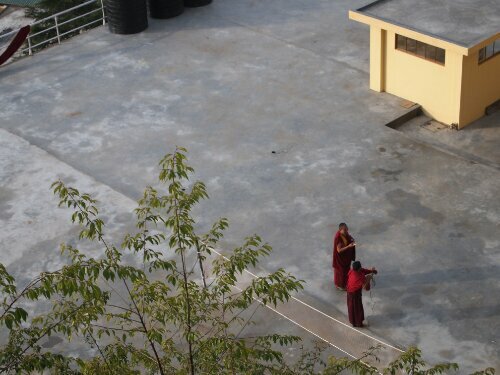 There are thus many thousands of Tibetans in the area and it is very noticeable when you walk around the town. There are many Tibetan monks in their maroon robes and Tibetan flags fly all over the place. It is a very beautiful area. I visited the Tsuglagkhang Complex where the Dalai Lama lives. Unfortunately he was inconsiderate enough not be in when I came to visit as he is apparently glad handing in America. My fault for not calling ahead. Taking photos in the complex is forbidden but this was OK as there was not a huge amount to take photos of. The complex is very much a working temple and is quite modern looking for the most part as you might expect given it was built quite recently. There is a lot of resentment in evidence at China and the way they have treated the Tibetan people – with signs up calling for the release of the Dalai Lama’s successor who has been imprisoned since 1995 when he was only six years old. There are also huge banners remembering some of the Tibetans who have sacrificed themselves through self immolation in protest at their nation’s subjugation. When I was in town having lunch I was lucky enough to be joined by one of the monks who lives locally. 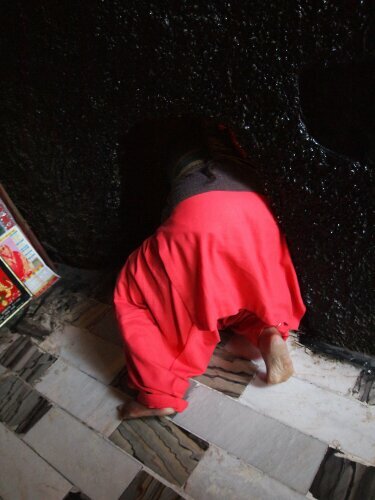 He wanted to practice his English and I was happy to oblige – you don’t get to chat to a Tibetan monk everyday. Unless you live in Tibet or places where there are Tibetan monks. As we spoke I was able to ask him questions about how he came to be in India and it sounded like he had an incredible story. Sadly his English, while good, was only capable of getting across the basics of his tale. He had apparently crossed into Nepal thirty years ago when he was 18, starting the crossing with thirty companions. The journey took twenty days; this was twenty days crossing the Himalayas in winter, something I can barely imagine. They couldn’t cross in summer when the weather was better as the Chinese guarded the passes more closely then. Towards the end of the journey they ran out of food and there were two days when he had nothing to eat. The monk told me that they were discovered by Chinese soldiers part way through the trip and split into two groups of fifteen in order to better escape. Eventually the monk made it to Nepal but his troubles were not over then as he and his compatriots were caught by Nepalese soldiers and were to be returned to the Chinese. He wasn’t able to get across quite how he managed it but he said he jumped into a truck and was able to escape with one another and eventually made it to India where he has lived for thirty years. 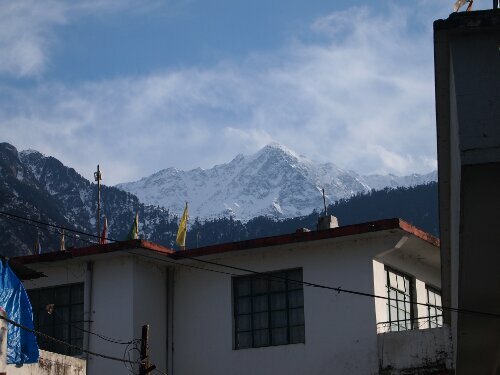 There are roughly 80,000 Tibetan refugees living in the area around Dharamsala and it is staggering to think that a large proportion of them must have similar stories to the monk I met, stories of real feats of endurance in order for them to find asylum in India. 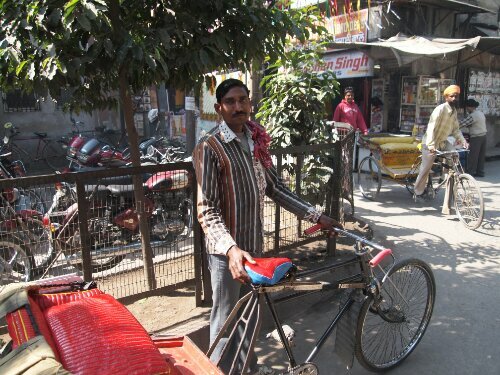 I love your positive stories about cycling India. Most people just write about how busy it is. Perhaps I will add it to my list of places to travel to in the next few years of travel I am planning.